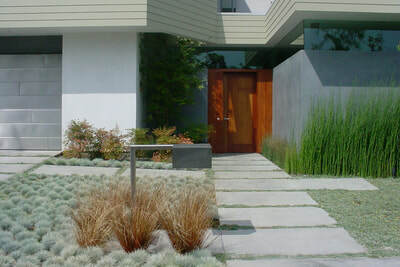 To diminish the boundary between inside and outside in this modern residence, the landscape was brought to the threshold of the house, whose expansive glass doors slide open to allow the garden to flow in. 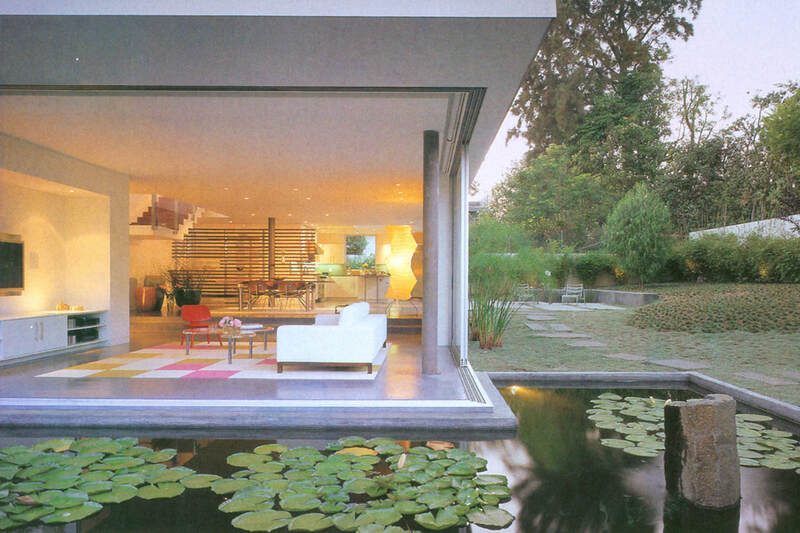 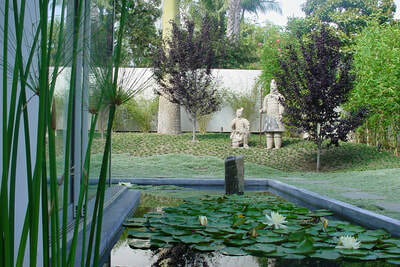 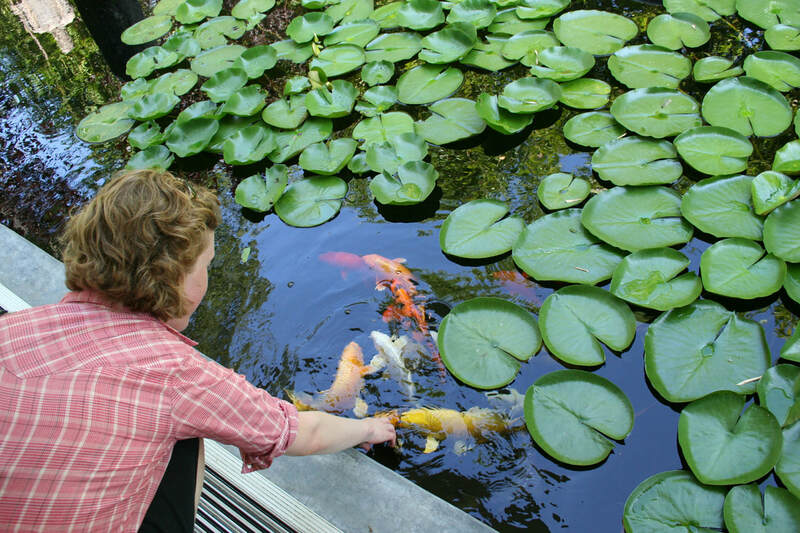 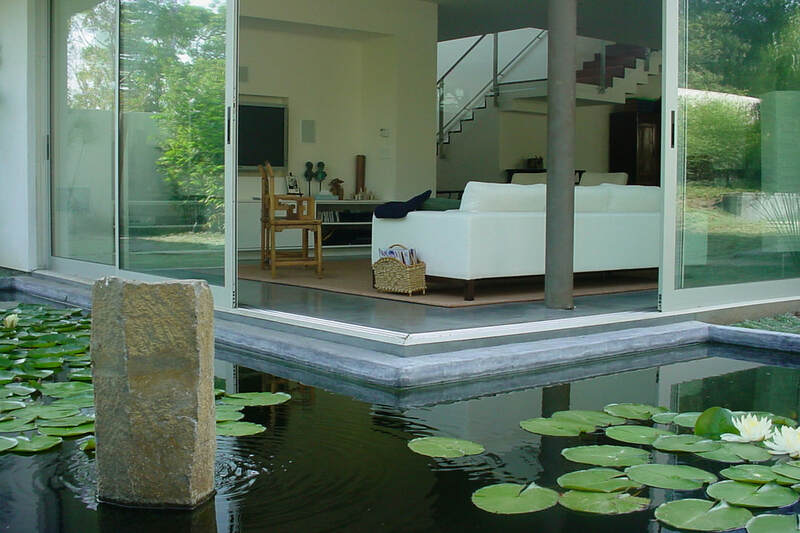 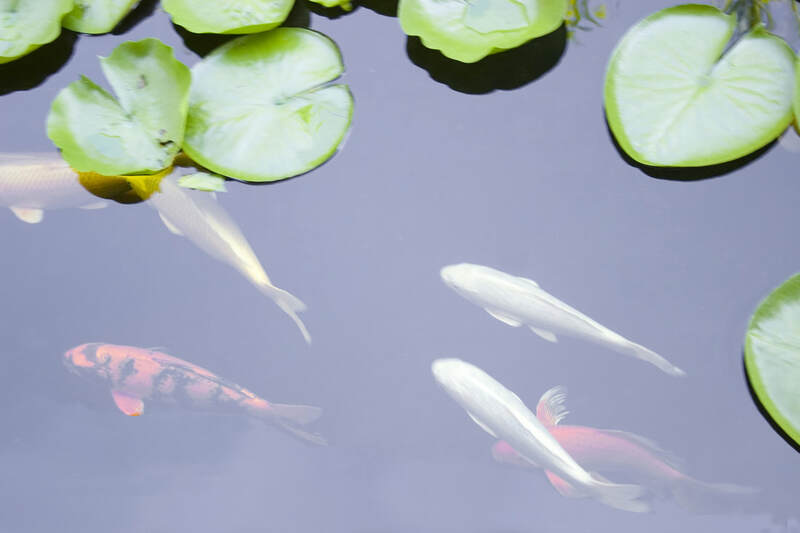 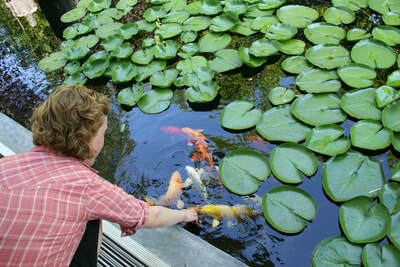 An L-shaped koi and water lily pond wraps around the living room, acting as a passive cooling device for the residence, which has no air conditioning. 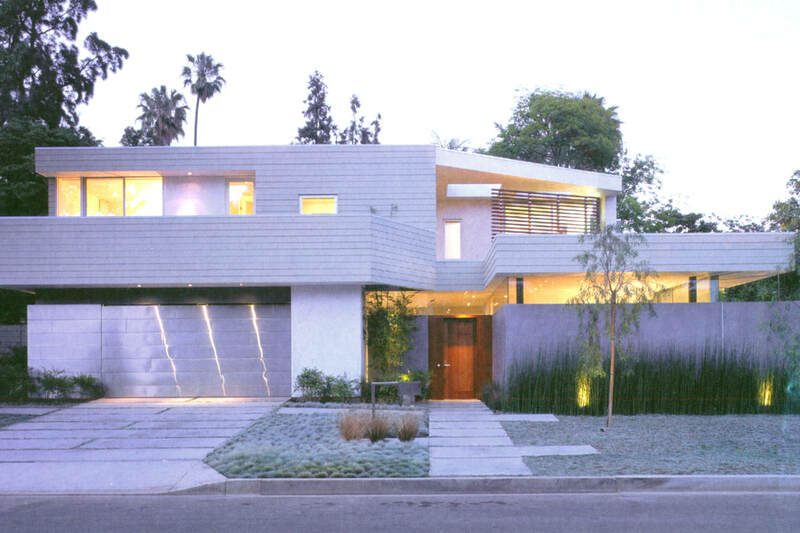 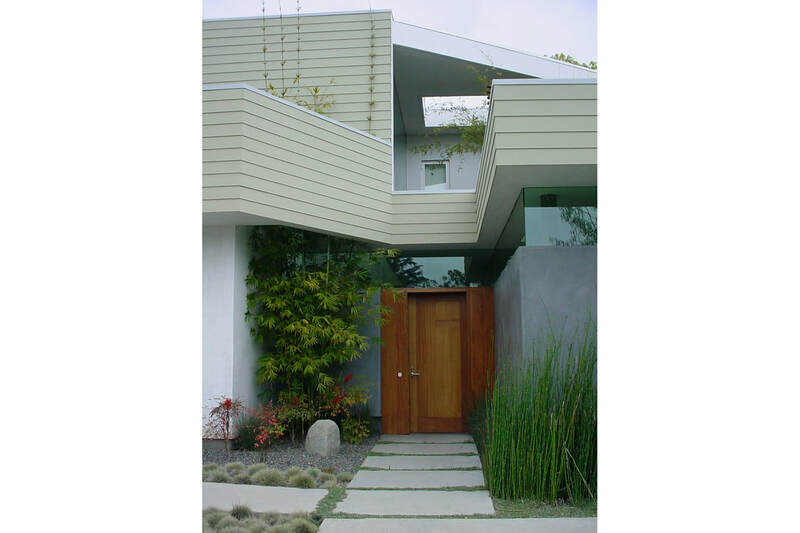 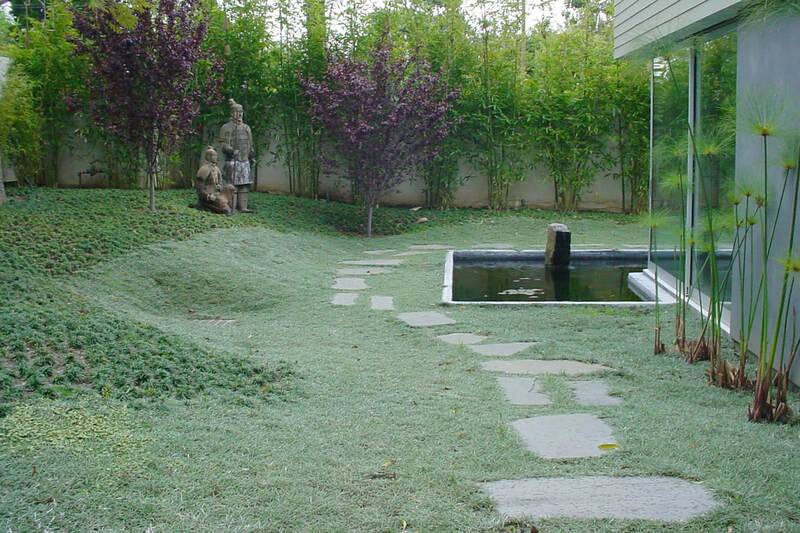 A bold yet poetic drought tolerant plant palette was used throughout; rather than a conventional water-intensive lawn, dymondia was used as a groundcover for both the back and front yards. Furthermore, the landscape is partially irrigated by gray water. 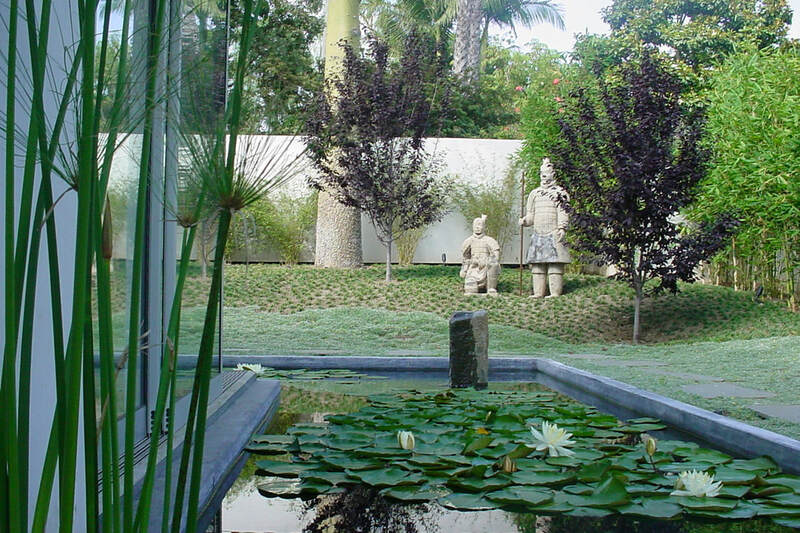 As the clients have a keen appreciation of both contemporary art and Asian antiquities, Chinese sculptures were incorporated into the back garden which, though unmistakably contemporary, alludes to classical walled Chinese courtyard gardens.